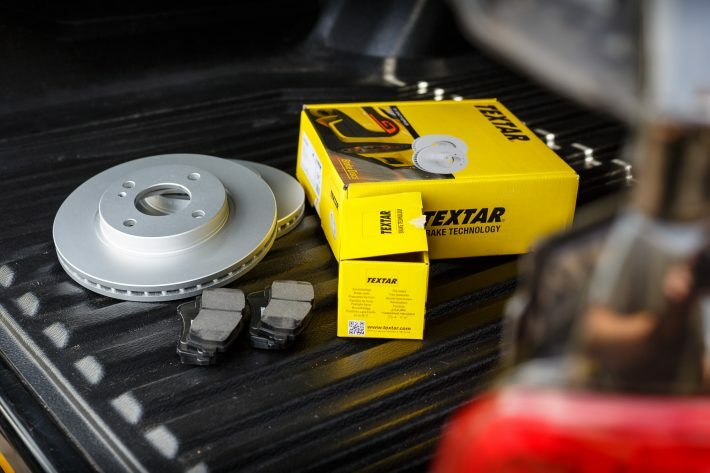 We recently had the opportunity to test out braking components from the latest premium brand, Textar. Here we have a new set of discs and pads for a Ford Fiesta. 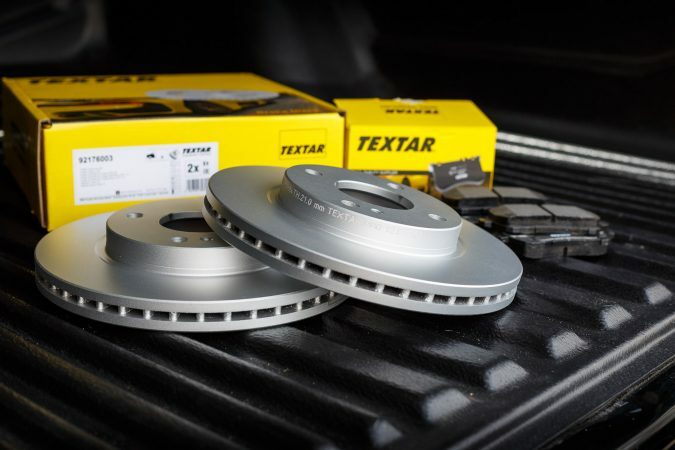 Textar are part of the braking company TMD Friction that is a global leader in OE brake technology. Textar offer brakes that are precision-engineered to offer maximum safety, performance and comfort. They have a wide range of pads and discs, covering over 1,600 variants of cars, and also supply hundreds of brake shoe and drum kits. 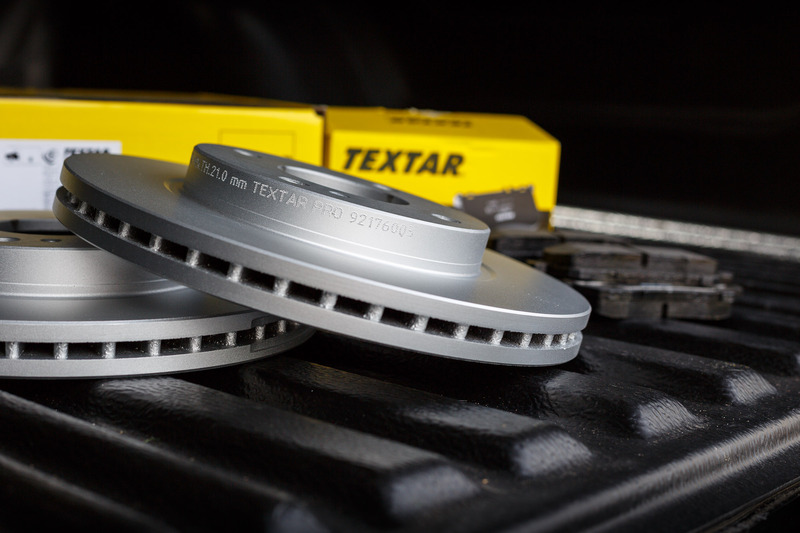 These numbers mean Textar have one of the widest product portfolios in the industry; they say their products reflect the quality standards of a market leader, and offer long service-life as well as high braking comfort. 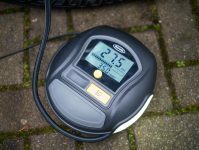 The product range also includes wear indicators, accessories, brake fluids, brake cleaners, and lubricants. For more information visit Textar.com. Unboxing the brake components, I have to say I was very impressed. They arrived well-packaged and very clean, which unfortunately isn’t always the case for car parts. A close-up look at the parts, revealed everything appeared very well-made and built to a high standard – even though these brakes were only going on a Fiesta, they definitely did look quite impressive. 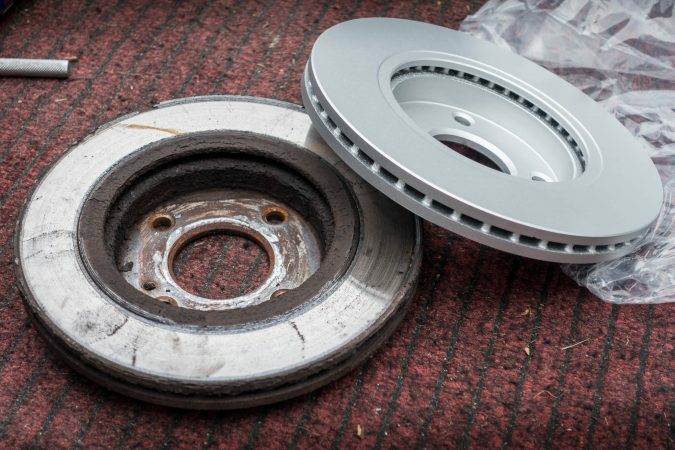 Brakes are obviously an essential component of any car, and having high-quality brakes should be everyone’s priority, but often we don’t give them much consideration. In the photo below, you can see I’ve removed the well-worn discs from the test car and put the old and new brakes side-by-side, highlighting the difference between the used disc and the brand-new premium Textar disc. Which would you want fitted to your car? 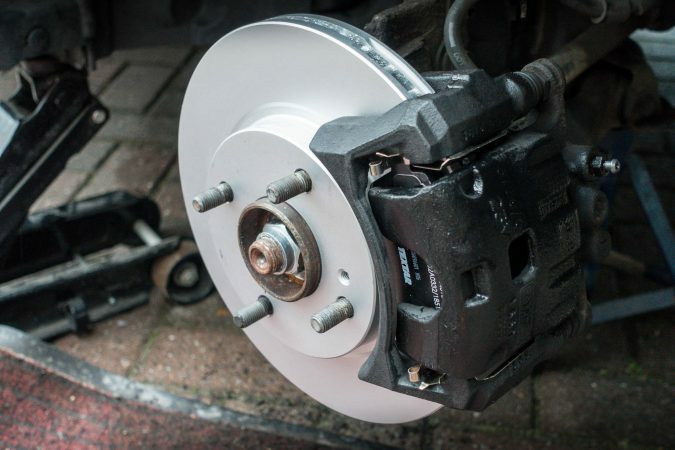 Of course all brakes wear down and rust, so keeping on top of replacements is crucial – when was the last time you checked your brakes? It took me around 2 hours to replace the front discs and pads on our test car on my driveway. In the picture below you can see the difference between the old discs and pads (left) and the new ones (right). 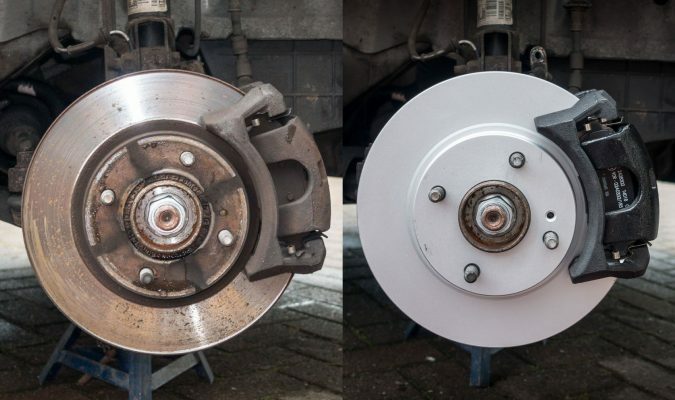 The process was relatively easy to complete, but I recommend you get your brakes fitted and checked by a professional. 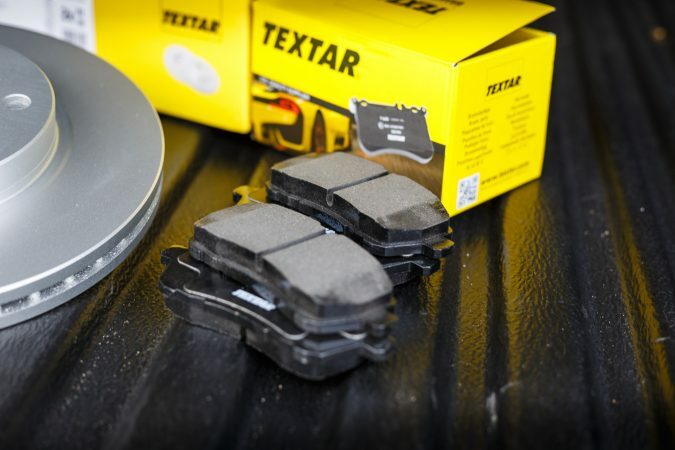 These new pads look and feel like a solid product, and for certain have lots of life in them – ensuring that when required, braking occurs as efficiently as possible. It’s worth remembering that on a fresh set of discs and pads there’s always a bedding-in process before the brakes will be operating at maximum efficiency. For the first 100 miles we took it relatively gently on the brakes to allow them to bed-in properly. However, from the first mile the stopping power already felt much improved from the old pair. 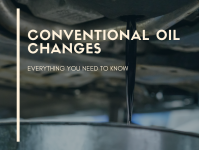 Once bedded-in, the feeling in the brake pedal was a lot nicer – consistent, with only a small amount of pressure needed to provide a large amount of stopping power. Would I Recommend Textar Brakes? 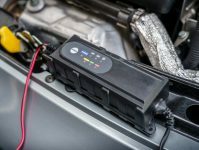 After testing out the products firsthand on a car that I know well, I was actually very impressed with the quality of the components and the solid stopping power they provide. 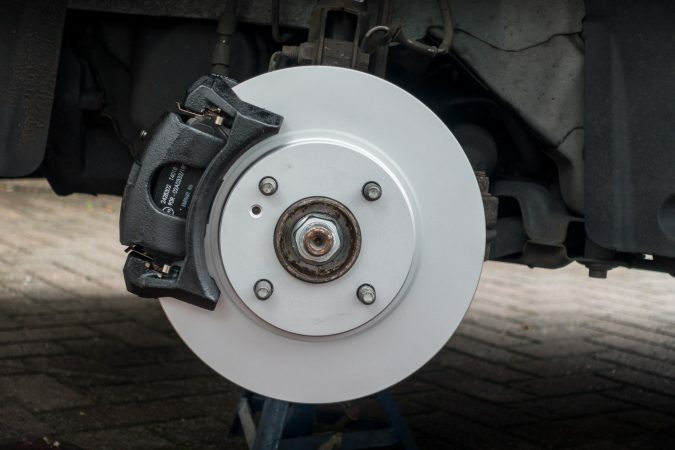 Braking components are indispensable in any car, and naturally you only want to purchase those of premium quality when it comes to such an essential safety feature. For more information, take a look at Textar.com.